Hapless Theresa May stepped nervously into the June European Council in Brussels. Her own status at such meetings is now qualified by the UK’s notification to withdraw from the European Union, which takes effect in March 2019. She can no longer participate in Council discussions about Brexit and has to leave the room. Before she departed the dinner table last night, however, Mrs May outlined an ‘offer’ on the rights of European Union citizens residing in the UK once that country has left the EU. The full ‘offer’ is due to be submitted in writing on Monday 26 June. Of course, citizens’ rights are codified in law and guaranteed by treaty, to which the UK has acceded. Accordingly, millions of people have moved around the European Union, with many of them settling in the United Kingdom to live and work. The UK has legal obligations towards them. Continuity in their rights is required, if and when the UK leaves the EU. The initial response to Mrs May’s remarks from groups representing such citizens was scathing and sceptical. ‘Pathetic’ was one description. Certainly, Mrs May’s mention of a ‘grace’ period for people to exercise their statutory rights under European treaties and regulations indicates her misperception of the UK’s treaty obligations, to which her predecessor, Mrs. Thatcher, signed. The UK position paper will be rigorously assessed by the European Commission’s Article 50 taskforce. Does it meet the five essential principles on citizen’s rights, as set out in the Commission’s own published position paper (see below)? These include equal treatment in the UK of EU citizens as compared to UK nationals, and in the EU27 of UK nationals as compared to EU27 citizens. Some of the five seem to be addressed in Mrs May’s limited remarks. But where is the UK position deficient? ‘Directly enforceable vested rights’ may prove one area of contention, as ‘the commitment we will make will be enshrined in UK law, and enforceable through our highly respected courts’, according to a UK government source. UK courts, nevertheless, may need to seek advisory opinions on matters of European law, including the article 50 agreement itself, from the European Court of Justice, which is itself held in high regard. The Commission plainly states this point. The primacy of European Union citizens at the commencement of the Article 50 negotiations was highlighted at a lively civil society assembly convened at BOZAR in Brussels by the European Citizen Action Service (ecas.org). Participants heard first hand from the Commission’s Article 50 task force. Mr De Rynck speaks for the European Commission’s Article 50 Taskforce, where he advises Michel Barnier, the European Union’s chief negotiator for Brexit. He was commenting the morning after Brexit negotiations commenced in Brussels on 19 June 2017. ‘The symbolism was unmistakable,’ said Mr De Rynck, as he described Michel Barnier welcoming David Davis, the UK’s Brexit Secretary of State, to the Commission’s Berlaymont building to commence negotiations about the United Kingdom’s withdrawal from the European Union. It was a ‘sad’ day. We want ‘no more’ such article 50s, he said. One such article 50 notification is certainly more than enough. Its consequences encompass fundamental matters such as rights to family life lived in freedom and dignity, and to work and reside in a member state of the Union, as well as to move freely between member states. Mr Davis has spoken of a ‘generous’ offer on citizens’ rights, which were termed ‘entitlements’ in the recent Conservative Party manifesto for the 2017 General Election. ‘Offer’, generous or otherwise, misses the point. Rights must be respected, otherwise they are undermined for all. Mr De Rynck emphasised the need for continuity so that people’s decisions to move and reside in other EU countries, made in good faith, are sustained and not jeopardised even more by the uncertainty which Brexit causes. The UK government has rapidly shifted its ground, agreeing to the Commission’s two-phased approach to Article 50 negotiations, forestalling Mr Davis’s ‘row of the summer’ about sequencing. How will the UK government meet the five ‘essential principles’ spelled out by the Commission? This will be an early landmark in the negotiations. Progressing to phase two discussions on the ‘framework’ of future relations between the EU and the UK, including trade, requires ‘sufficient progress’ to be made in agreeing the essentials of citizens’ rights, as detailed in the Commission’s published position paper Essential Principles of Citizens’ Rights (see below). The working group on citizens’ rights will meet again in July. It has much work to do. 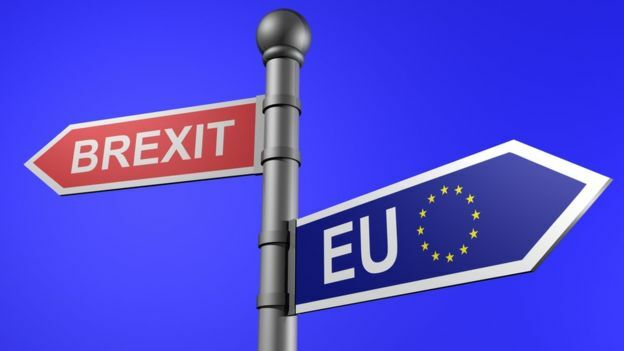 (4) EU27 citizens or UK nationals who resided legally respectively in the UK or EU27 at the date of entry into force of the Withdrawal Agreement should be considered legally resident even if they do not hold a residence document evidencing that right. Documents to be issued in relation to these rights should have a declaratory nature and be issued either free of charge or for a charge not exceeding that imposed on nationals for the issuing of similar documents; (5) All citizens' rights set out in the Withdrawal Agreement should be granted as directly enforceable vested rights in both the UK and in EU27 as specified in Section IV. (2) The rights of the right holders set out in paragraph 1, and the derived rights of their family members, should be protected for life, provided that conditions of Union law are met [for example, where the right holder dies, in the event of divorce or if the right holder leaves the host State before the divorce, the family member will continue to have derived rights under the conditions set out in Directive 2004/38]. (3) EU27 citizens and UK nationals can continue to change status and to accumulate periods leading to rights pursuant to Union law during the period of protection of the Withdrawal Agreement [e.g. a student can still become an "EU worker" after end of studies without having to comply with immigration law for third-country nationals, an in-active citizen can become a worker and still be covered by EU rules and a person who resided legally in the UK for less than five years by the date of the entry into force of the Withdrawal Agreement can continue to accumulate the necessary five years residence giving access to permanent residence rights]. (4) For rights and obligations set out in Regulations 883/2004 and 987/2009 on the coordination of social security systems, a mechanism should be established to incorporate future amendments to those regulations in the Withdrawal Agreement. (1) The Commission should have full powers for the monitoring and the Court of Justice of the European Union should have full jurisdiction corresponding to the duration of the protection of citizen's rights in the Withdrawal agreement. (2) Citizens should thus be able to enforce their rights granted by the Withdrawal Agreement in accordance with the same ordinary rules as set out in the Union Treaties on cooperation between national courts and the Court of Justice, i.e. including a mechanism analogous to Article 267 TFEU for preliminary reference from UK courts to the Court of Justice of the European Union.